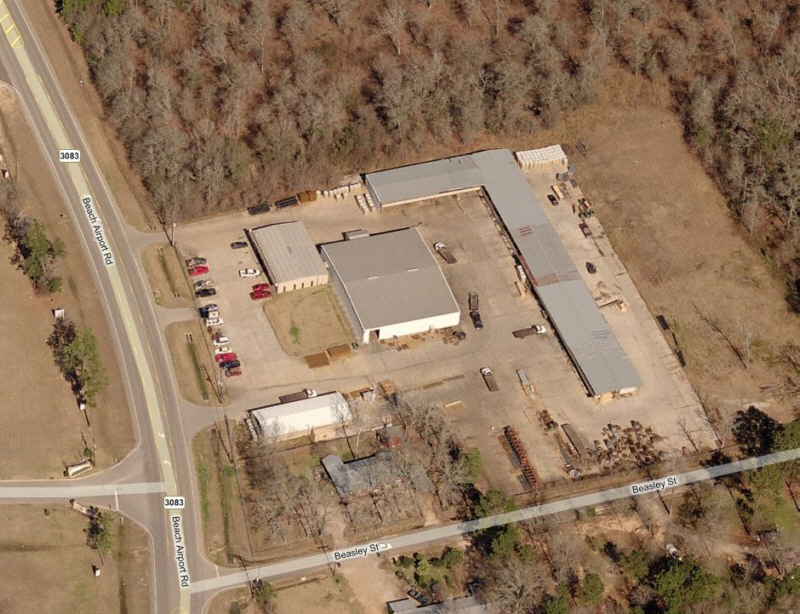 Concrete Contractors Supply originated in 1962 when Bill and Lilly McElwee opened the doors under the name “Conroe Stakes & Lumber Co.” The McElwee family started the company making sub-flooring materials with a single two-horsepower saw and an old $200.00 truck. Over the next four decades, the business continued to grow, adapting to changes in the industry and thriving even during the toughest of economies. CCS attributes this resilience to its commitment to maintain the principles instituted by the McElwees. These principles, as well as the original location, are still in use today. 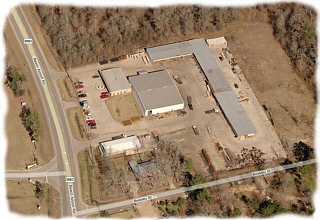 The company has grown from a small stake mill to a manufacturing and retail business now offering a wide range of concrete contractor supplies. Despite much growth and many changes, the company goal of satisfying the needs of our customer has remained unchanged since 1962. Technically speaking, we will go virtually anywhere as we strive to serve our customers and work to become the largest provider of concrete contractor products and services in the entire state of Texas. 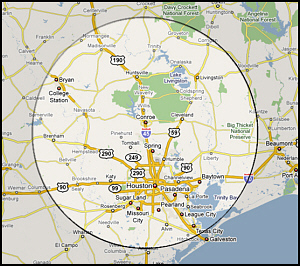 That said, our primary service area focuses on the North Houston, Texas and Montgomery County, TX areas, including the cities of Conroe, The Woodlands, Willis, Montgomery, Spring, Tomball, Magnolia, Humble, Kingwood, Porter, Cleveland, Huntsville, New Waverly and the communities surrounding Lake Conroe. 90% of our customers' projects fall within the above geographical area. But don't let this map turn you away. If your work falls outside this range, please give us a call. We will be more than happy to provide you with the kind of quality products and services that have become the hallmark of our company. This site created by TC Concepts. Copyright 2010. All rights reserved. All graphics, text and photos are the property of Concrete Contractors Supply of Texas and/or TC Concepts.